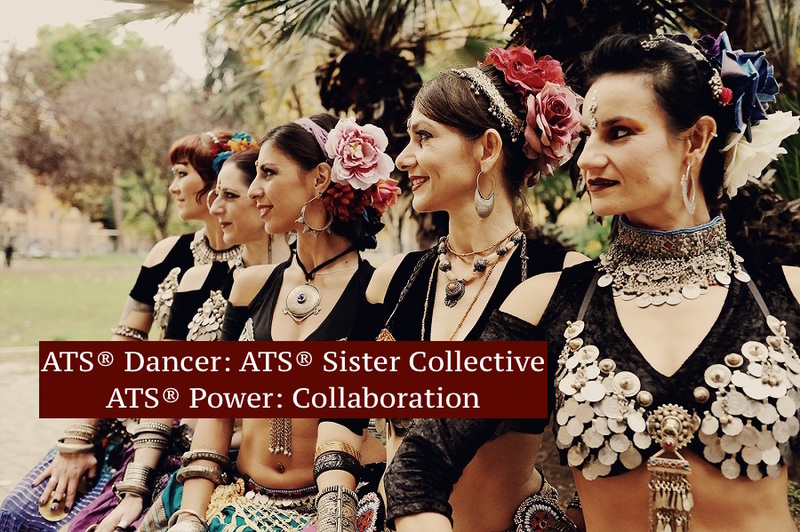 The ATS® Sisters Collective’s ATS® Super Power is: Collaboration! We first came together for Roma Tribal Meeting in 2014, with the aim of co-teaching a workshop and creating a beautiful performance set. 5 Sister Studios living in 4 separate countries and speaking 5 different mother tongues, with very little time together; it was evident from the start that collaboration was the key to making this project a success! With strong focus, acceptance of each other and our shared desire to apply the dance language and tribal philosophy to everything, we have naturally continued to work together ever since. In our workshops and performance intensives we strive to connect dancers, nurturing the collective effort that we feel is fundamental to ATS® group improvisation, whilst working with the knowledge and abilities of the whole group. In the words of Helen Keller…“Alone we can do so little; together we can do so much”.